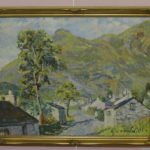 Kintyre is a hot bed of creatives in music and literature but until recently art seems to have taken a back seat. 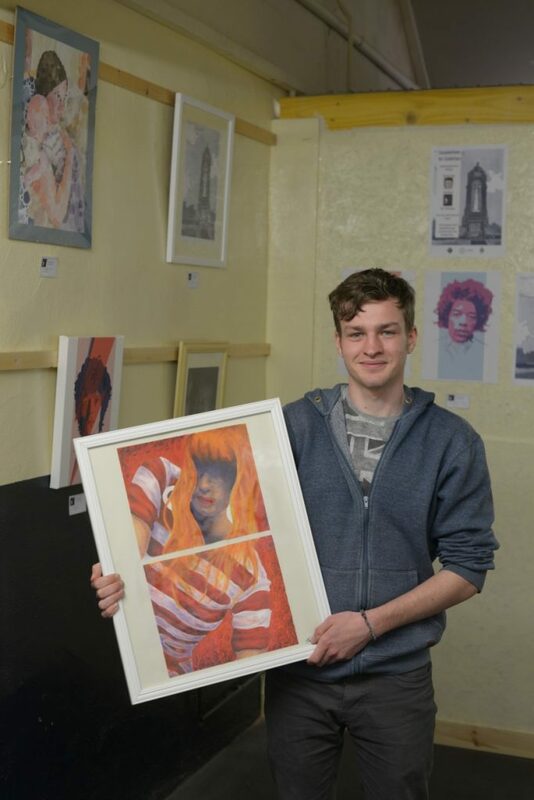 Young graphic designer Paul Russell aims to put painting back on the map and restore the area’s reputation for inspiring art. In the 19th century, Archibald MacKinnon’s cruxification cave painting at Davaar Island and William McTaggart’s coastal scenes established Kintyre’s prominence as a place to inspire artists. Last week, from August 16 to 20, coinciding with MOK Fest, Mr Russell, 24, held an art exhibition across two of the pods, in Jason McCallum’s Keep it Local space in the former Krisp Print building. Mr Russell studied design and new media at Cardonald College and runs 3B Design Studio supported by InspirAlba. He is a skilled artist but says that, due to dyslexia, although he could draw well it was hard to obtain ultimate success in art at school due to struggling in written assignments. 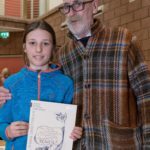 Mr Russell staged the show with caricaturist Matthew Hales and added: ‘There used to be a vibrant art scene in Campbeltown with shows in the town hall and work by artists such as Rosslyn Oman. ‘We are hoping to kick that back into action and perhaps have up to five shows a year. 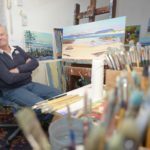 ‘There are many artists in Campbeltown either amateur or semi-professional but not much exposure and people don’t seem to realise the wealth of talent.